When hinges creak in doorless chambers, and strange and frightening sounds echo through the halls. Whenever candlelights flicker where the air is deathly still — that is the time when ghosts are present, practicing their terror with ghoulish delight! “Foolish mortals” of all ages to the Haunted Mansion Original Graphic Novel, a brand-new illustrated journey through the home of grim, grinning ghosts and other spectral surprises. 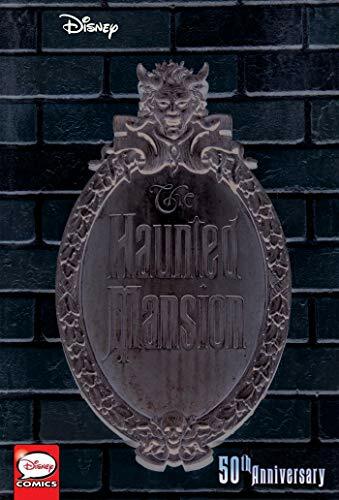 The Haunted Mansion graphic Novel will be ON THE SHELF September 2019 and will be celebrating its 50th anniversary. You can pre-order your copy below. Are you excited for an original graphic novel about the haunted mansion? Let us know in the comment section below. Also, Don’t forget to like, share and subscribe to all things Constant Collectible to keep up to date with all the news and reviews from a world of GEEK CULTURE. Mar 29 @Marvel Comics Releases New WAR OF THE REALMS International Variants!